Muskmelon, which has the scientific name of Cucumis melo and is also called cantaloupe or kharbuja, is known for the musky aroma wafting from it when it ripens. Muskmelon is good for your eyes. Vitamin A is an essential nutrient to keep your eyes healthy and protected against age-related vision impairment issues such as macular degeneration and cataracts. Muskmelon provides this vitamin in the form of beta-carotene, which helps your retinas – or the nerve-rich tissues in your eyes – identify light patterns and relay these pattern messages to your brain, thus facilitating the process of seeing. The potassium that can be found in muskmelon helps alleviate stress levels in the body. A cup of muskmelon provides 473 milligrams of potassium, or 10 percent of the recommended daily intake. Muskmelon is a fruit that weight-watchers should eat. Eating muskmelon on a daily basis can assure you that you would lose your weight or that you would maintain an already fit figure because it is made of 95 percent water and fiber. Muskmelon is good for cleansing blood vessels and for regulating blood pressure levels. Also, the adenosine in muskmelon helps keep the blood thin, thereby reducing heart ailments. It also makes your joints healthy and strong, keeps your muscles from cramping, and protects your body from premature aging. Muskmelon is used as an aphrodisiac and can increase libido. It prevents occurrences of erectile dysfunction. Muskmelon can address digestive issues such as stomach ulcers and acid reflux. Muskmelon can help protect the liver and kidney from various ailments. 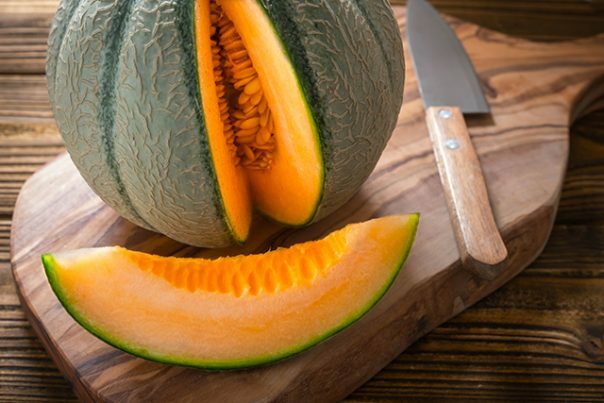 As a matter of fact, muskmelon can help protect against diabetic nephropathy because muskmelon has a low glycemic index score and contains only simple sugars. Muskmelon has antioxidant, anti-inflammatory, and antidepressant properties. Muskmelon is good in rehydrating the body as it has rich water content. Muskmelon can be used to treat insomnia. Muskmelon is good for the hair. It acts as a natural hair conditioner, especially during the days of the summer, when the hair has a tendency to be stringy, dull, and lifeless. Muskmelon is good for the respiratory system. A 2003 study that was published in the Journal of Nutrition showed that people who are exposed to cigarette smoke and who lack vitamin A in their bodies have a greater chance of incurring lung-related infections than people whose diet are high in vitamin A. In that study, the mice that were involved were fed a diet that lacked vitamin A. After exposing them to smoke, the mice contracted emphysema. This led the lead researcher of the study to conclude that vitamin A counteracts the harmful effects of cigarette smoke to your body. A cup of muskmelon provides for your entire RDI of the vitamin at 5,986 international units. Muskmelon is good for the immune system. It provides for proper white blood cell production, so that the body can properly fight back against bacteria and viruses. This is due to the vitamin C in muskmelons, which also reactivates the vitamin E that was crippled by free radicals, thereby doubling immunity capabilities and reducing the chances of heart disease, cancer, and stroke. A cup of muskmelon provides 65 mg of vitamin C, which 72 and 87 percent of the RDI for men and women, respectively. Muskmelon is good for the nervous system. It makes sure that the brain is functioning properly and helps heighten your powers of memory. Muskmelon usually eaten as it is, because it has a sweet, flavorful, and zesty tang. It is usually blended to make yummy drinks. Here are some of the recipes that are sure to be surefire thirst-quenchers. Muskmelon is good for the respiratory, immune, and nervous systems. Muskmelon is good for the eyes and hair. Muskmelon is a fruit that weight-watchers should eat.